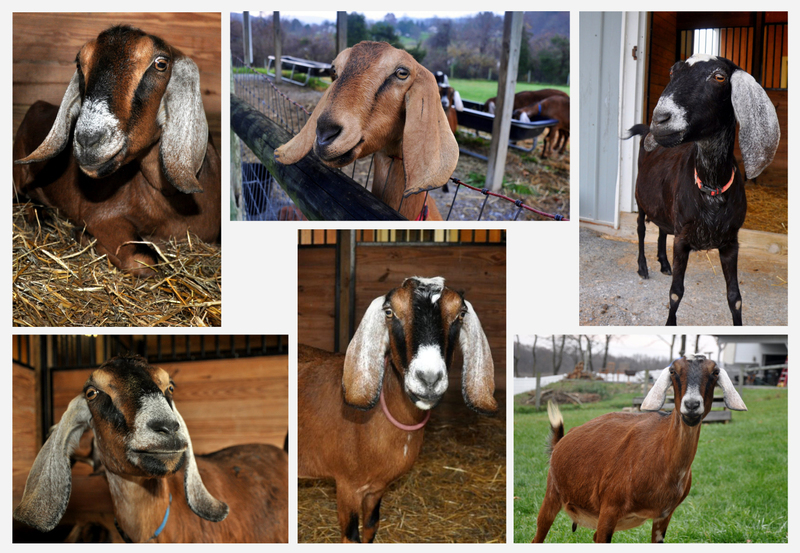 Amazing Acres Goat Dairy | Find out what is happening at our dairy! Find out what is happening at our dairy! Will and I went out to Doe Run Dairy in Coatesville yesterday to pick up some of the does that used to live here on the farm. 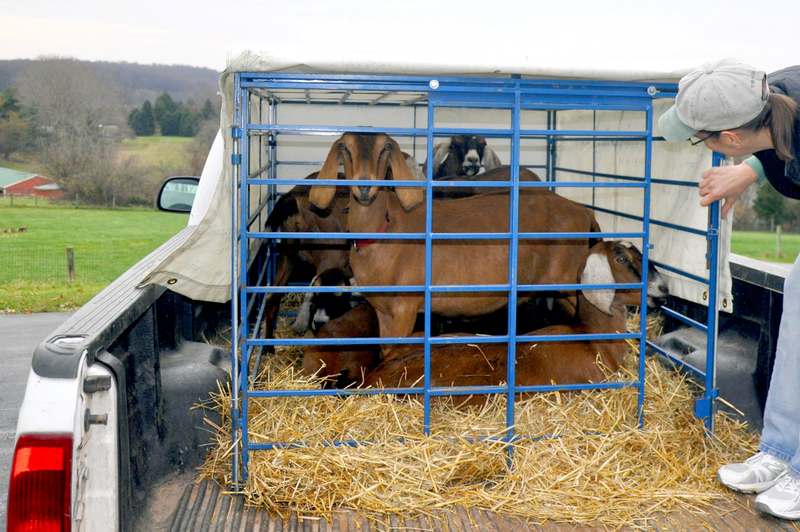 We brought back 6 of the ladies – all Nubians – snugly packed in the pen on the back of my brother’s F-250. I’m told I could fit 10 adult goats in there, but that would sure be a tight fit! They are currently not producing milk, but should all be kidding come late March/early April. That’s when I’ll begin milking them. They made themselves right at home here and seem very happy. Will and I attended an amazing event at Nectar in Berwyn last night. 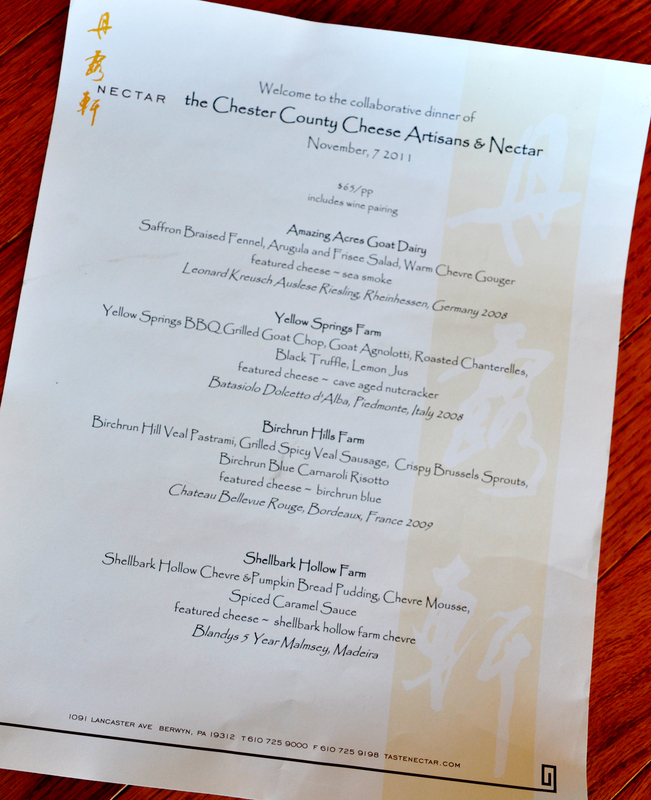 Chef Patrick Feury created a menu highlighting some of the cheeses made by four of the Chester County Cheese Artisans cheesemakers – Amazing Acres, Yellow Springs Farm, Birchrun Hills Farm and Shellbark Hollow Farm. 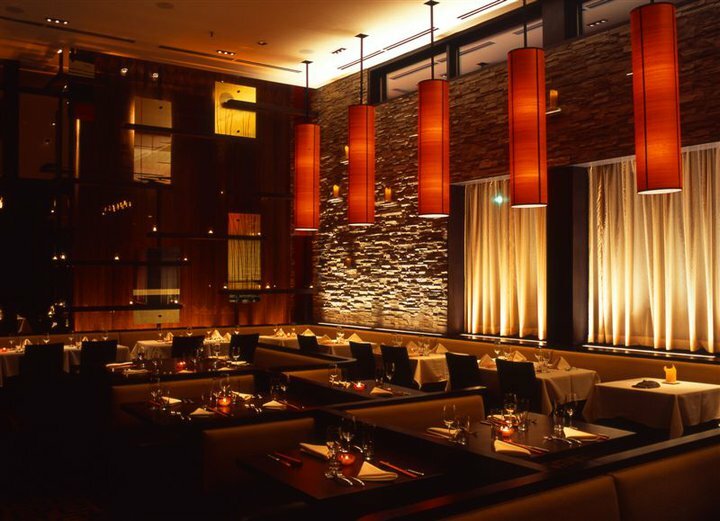 Each course was paired with a thoughtfully selected wine. The cheesemakers were all in attendance and spoke a little about their cheeses before each course. I forgot to bring a camera, so you’ll have to just take a look at this menu and imagine how wonderful everything was!